Tips for Parents of First Graders. Give your child lots of opportunities to read aloud. Inspire your young reader to practice every day! Have your child bring along a book or magazine any time you'll have to spend time waiting, such as at a doctor's or dentist's office. Fit in reading every chance you get! Encourage your child to re-read favorite books and poems. With repeated readings, he or she should be able to read more quickly and accurately. Pick books that are at the right level. Help your child pick reading materials that are not too difficult. The aim is to give your child lots of successful reading experiences. Sometimes, slow readers will choose overly difficult books to "save face" and then are unable to actually read them. Dig deeper into the story. Ask your child about the story you've just read together. Try questions that require your child to draw conclusions. Say something like, "Why do you think Clifford did that?" A child's involvement in retelling a story or answering questions goes a long way toward developing his or her comprehension skills. Take control of the television. Encourage reading as a free-time activity, and set limits on the amount of time your child spends watching television or playing video games. It's difficult for reading to compete with these distractions, especially when a child is still struggling to read fluently. Use blocks or a chalkboard to play word games with your child. First write out a word like mat. Then change the initial sound. Have your child sound out the word when it becomes fat and then when it becomes sat. Next change the final sound, so the word changes from sat to sag to sap. Then change the middle sound, so the word changes from sap to sip. Make a game of it! Give your child a clue. If your child is stumbling while trying to sound out a word, use your finger to point to the next letter and ask what the letter usually sounds like. This won't always work because many letters have more than one sound, but in the long run it is probably more helpful in building your child's early reading skills than using other types of "clues" like pointing to a picture on the page or guessing the word based on context. I read to you, you read to me. Once your child can read, have him or her read aloud to you every day. You can take turns — you read one page and your child the next. It's just another way to enjoy reading together. At bedtime, tell your child he or she can choose either reading or sleeping. 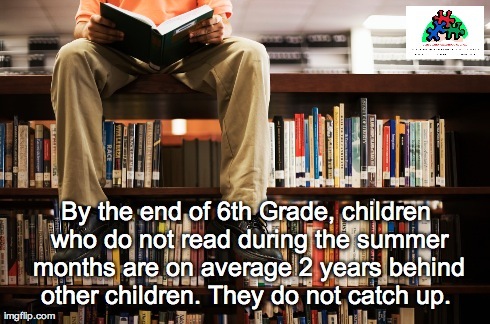 Most kids will choose to read, as long as you don't offer something more tempting... like TV. Children enjoy this special time with parents. You can spend it either with you reading to them or them reading to you or both. When you read aloud, read with expression. Discuss how punctuation on a page represents ways of speaking. You can say, for example, "When we talk, we usually pause a little bit at the end of a sentence. The way we show this pause in writing is to use a period." Many parents feel that screens have taken over their family's lives. While few could argue about the benefits digital devices offer, as parents, it's important that we establish guidelines for their use so they remain tools, rather than a source of endless distraction from real life. Here are some tips for creating a life that balances online activities with those that can only take place in the 3-D world. 1. Talk -- and listen. In the same way that you'll have more than one conversation about the birds and the bees, you'll want to have a series of talks with your family about using screens in a balanced way. Acknowledge that while you want your kids to enjoy all the great things the digital world has to offer, you also want to ensure that they stay engaged with the wide range of activities that make us human. Be sure to listen. The more your youngsters sense your willingness to hear their point of view (most kids will want to be plugged in far more than than parents think they should be), the more willing they'll be to respect your rules. 2. Model healthy habits. If you interrupt conversations when you get a text message or spend hours every night in front of your laptop, your kids will have a hard time accepting your admonition to uplug. Read a book, take a walk, paint, sing or take up piano. By showing your children that there really are ways to have fun that don't require a plug or a battery, they'll be more inclined to follow suit. 3. Establish rituals. In some households, all electronic devices are handed over an hour before kids go to bed. In others, the router is turned off at a specific time. Still other parents institute a rule of "earning" plugged in time; for every twenty minutes spent reading, kids get twenty minutes of online time. The more you establish routines and rituals, the less you'll be pulled into daily haggling over unplugging. 4. Avoid heated negotiations. Many kids are terrific lawyers in the making; they can be highly persuasive when they want something badly. Acknowledge their desire for "a few more minutes," but be clear and decisive; don't fan the flames of their frustration by engaging in angry negotiations that aren't likely to yield a positive result. 5. Invest time in connecting. Spend time with your kids doing offline activities that nourish your relationship. Many parents are happy for their kids to spend hours plugged in because it gives them freedom to the things they want to do -- including catching up on their own online activities. Whether it's inventing a new dessert, hosting a father-daughter UNO championship or taking a family bike ride, make time for real-life activities with your kids that let them know that they're worth your time and undivided attention. 7 tips to manage morning madness. Author of "Perfect Parenting" and "Kid Cooperation"
Hint #1: Start your morning - at night! If you have a child who gets easily distracted and ignores the morning chart - don't give up! Just make a small mini-size chart, laminate it, put it on a chain and let your child wear it as his "morning necklace!" Your part is to make a few gentle reminders, "How are you doing on your chart this morning?" Why Kids Whine and How to Stop Them. Kids know why they whine -- it works. That doesn't mean, though, you can't prevent it. Anne Crawford has three children, ages 8 through 13, so she has heard her share of whining. "My kids whine about doing the chores," she says, "or about how unfair it is that one got something and the other didn't. I'd say whining pretty much comes with the territory." According to Bay Area pediatrician Laurel Schultz, kids whine for a very simple reason. It works. "Whining gets the parent's attention," Schultz says. "A high-pitched whine is effective because a parent can't not attend to it." Schultz explains this is not a conscious strategy on the part of children, but a learned behavior -- and parents often play a role. If a child asks for something in a polite way and the parent doesn't respond the first time or two, the child will amp up the volume. A small child may holler or even throw a tantrum. But an older child, who has more self-control, is likely to whine. To avoid whining, Schultz advises parents not to wait until children are in distress to acknowledge them. "It's important to respond to that first bid for attention, if you can," she says. "If you are on the phone or in the middle of a conversation, make eye contact with your child and put a finger up, so she knows you'll be with her in a minute. Then give your child your attention as soon as you can politely do so." Educator and developmental psychologist Becky Bailey says that when whining does occur, parents should take a deep breath and remind themselves that the child is not trying to be irritating. The child is actually asking for help. "Respond with I-statements," Bailey says, "and model the way you want the child to speak. Say something like, 'I don't like it when you whine. If you want a glass of milk, say it like this.' Then model the exact words and tone you want the child to use." If your child continues to whine, and you're sure it's not from pain or illness, Bailey suggests that you look beyond the whiny behavior to determine the larger message it conveys. "Ask yourself, 'Have I been busier than usual? Has my child's routine changed? Has a sibling required more attention for some reason?' Often, whining is a signal it's time to reconnect with your child."